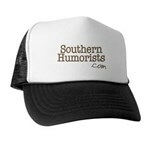 The Southern Humorists looked high and low to find quality moderators... Okay... So, maybe we only looked as high as the Post Office bulletin board and as low as City Hall's basement, but nobody else would take the job. Sorry lot, but they're the only ones that couldn't run fast enough to get away.. The moderators' job is to keep the discussion going, and make y'all feel at home and free to talk about humor writing. We also maintain the website, making sure the spiders are stomped. We publicize the group by spreading our news around the net on Facebook and Twitter and adding a little fertilizer from the cow pasture when necessary. We publish members stories and bios on the website or on a fencepost -- your choice. We also post messages if we run out of anything else to do, can't think of an excuse, and it isn't too hot. New writers are always welcome. Bring a jug of sweet tea and don't wake up the yard dogs. You can mow the grass, mop the kitchen, and make yourself right at home soon as you get here. Share the tears, humor, recipes, advice, laughter, inspiration, and the inevitable flatulence that makes 'Life' that big bowl of juicy pinto beans. Suitable reading for every member of the family, except your weird brother who you should really keep locked in a closet. Her comedy includes funny stuff about big hair, junk cars, country music, football, and even sensible topics once in a while. Leeuna writes about everyday circumstances and the amusing habits of the human race while consuming excessive amounts of caffeine and chatterin' nonstop. Columnist and Cowboy Poet who writes a humor column for the local newspaper when he ain’t too busy with other stuff.